Iguana Sell Pens | ST Dupont Apocalypse Fountain Pen – Limited Edition!! Will December 2012 bring the end of the world? Will the Mayan astronomical forecast prove true? This combination of intrigue, mystery and ancestral veneration is what has led ST Dupont to create this extraordinary limited edition pen. The ST Dupont Apocalypse fountain pen is a magnificent piece fashioned in bronze and completely gold plated. It’s design is the work of jeweller and artist Philippe Tournaire, and each piece is hand crafted by the artist himself. This tremendous amount of work behind each piece is the reason why ST Dupont is only making 112 pieces of this fantastic pen! The first thing that stands out is the pen’s base in the form of a Mayan pyramid. These ceremonial buildings have been object of admiration around the world due to their precision and beauty. This is no doubt, the most emblematic element of the Mayan culture and it appears again on the pen’s cap. As we go up the pen we can find decorations inspired in Quetzalcoatl, the feathered serpent. This is one of the principal mesoamerican God, together with Tlaloc and Mictlantecuhtli. The images are crafted to resemble Mayan art and part of the tropical wilderness in which these ancient people lived. 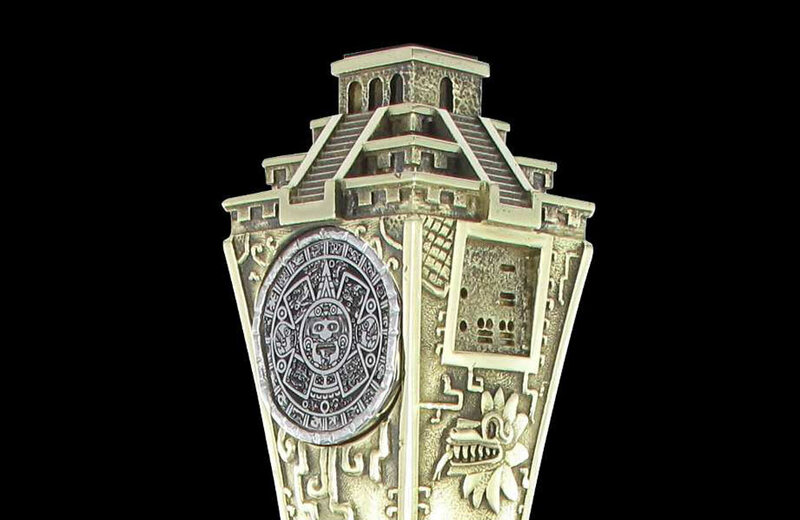 The most important element you can find on the cap is the famous “Mayan Calendar”, which was in fact an Aztec ceremonial altar. 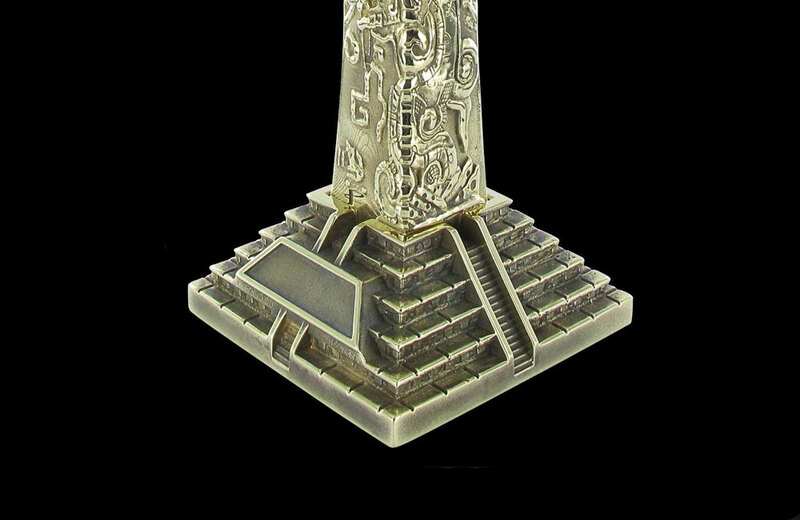 The very top of the pen has a Mayan Pyramid which represents the capital city Tikal, most important in the Mayan classic period. 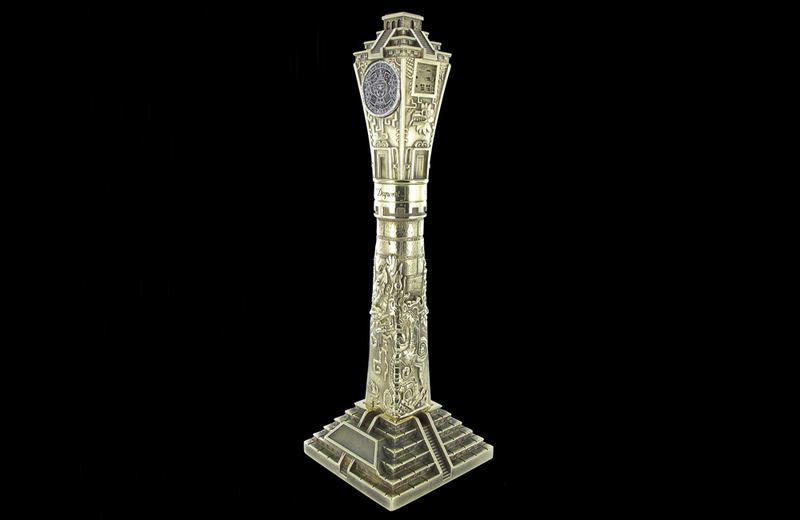 This pen is out of the ordinary, every detail is carefully finished and its superb design makes it a piece worthy of admiration from pen fans all over the world. Contact us at info@iguanasell.com if you’re interested in ordering one. Fountain pen and rollerball pen available. Great prices and service as always!! Montegrappa Micra Pens – Small and Colorful! !Namiki Sterling Silver Collection!